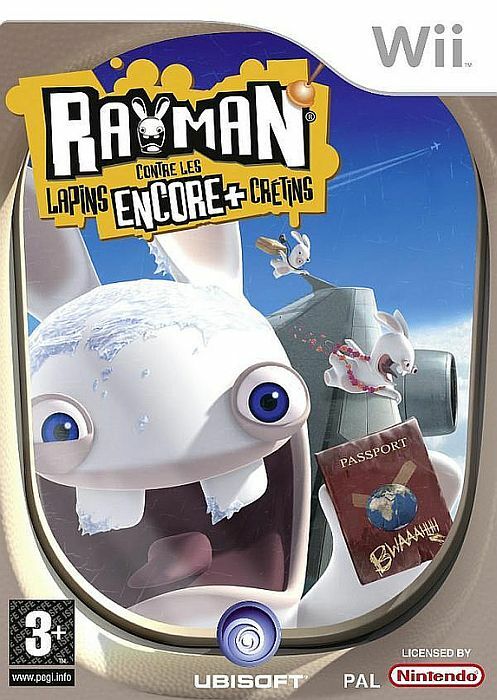 Rayman envahit le QG des Lapins Crétins ! Die Single, mit dem Titel « Making Fun (of Everyday Life) », ist ab heute (26.11.2007) auf allen wichtigen digitalen Anbieter-Plattformen erhältlich. Außerdem stehen exklusive Klingeltöne des berühmten Rabbid-Schreis „Bwaaah“, als auch animierte Bildschirmschoner für Mobiltelefone zur Verfügung. Ubisoft et EMI s’associent pour publier un single mettant en musique les lapins emblématiques et icônes montantes du jeu vidéo « Rayman® Contre les Lapins ENCORE + Crétins ». Développé par le studio d’Ubisoft Paris, le jeu est disponible exclusivement sur Wii™ et sur Nintendo DS™ depuis le 15 novembre 2007.C'est la première fois qu’un éditeur et la célèbre maison de disque s'associent pour développer un projet original dont les interprètes sont les personnages principaux d’un jeu vidéo. distributions digitales et mobiles et dès le 17/12/07 en CD single en France. seront disponibles pour le mobile. 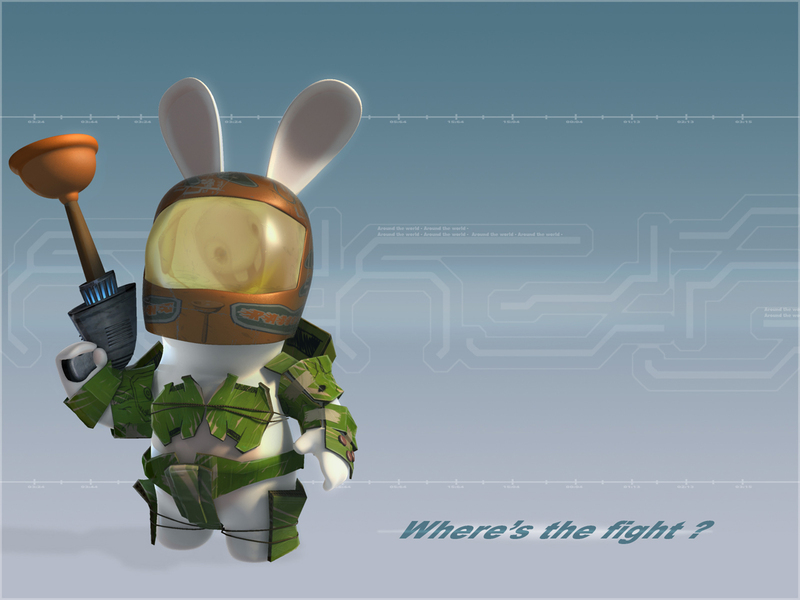 New Rayman Raving Rabbids 2 Artwork - Where's the fight? Artwork - Where's the fight? 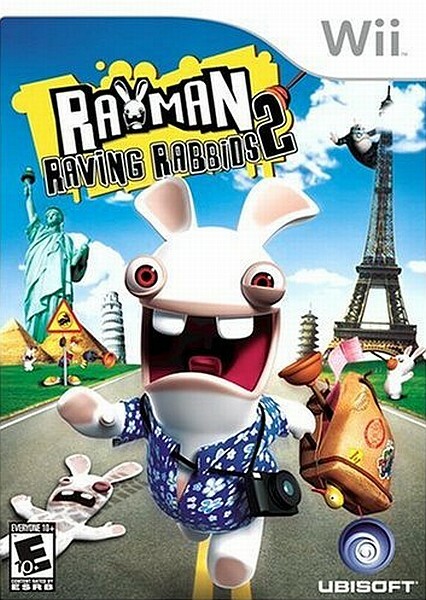 Rayman Raving Rabbids 2 Gewinnspiel . . . Gewinnspiel . . . Gewinnspiel . . . Gewinnspiel . . . In einer Sendung mit zahlreichen Highlights dürfen natürlich auch die verrückten Hasen nicht fehlen. 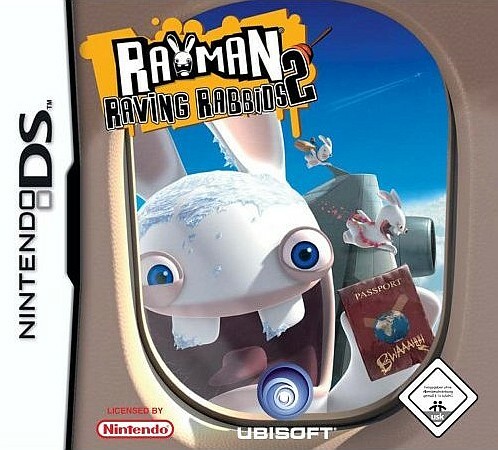 Mit Sicherheit wird Rayman Raving Rabbids 2 der witzigste Titel in diesem Wintergeschäft auf Wii und Nintendo DS. Während wir in Rayman Raving Rabbids 2 den Hasen das Leben schwer machen, schonen unsere Siedler Tiere aller Art in der Vegetarier-Edition von Die Siedler – Aufstieg eines Königreichs. 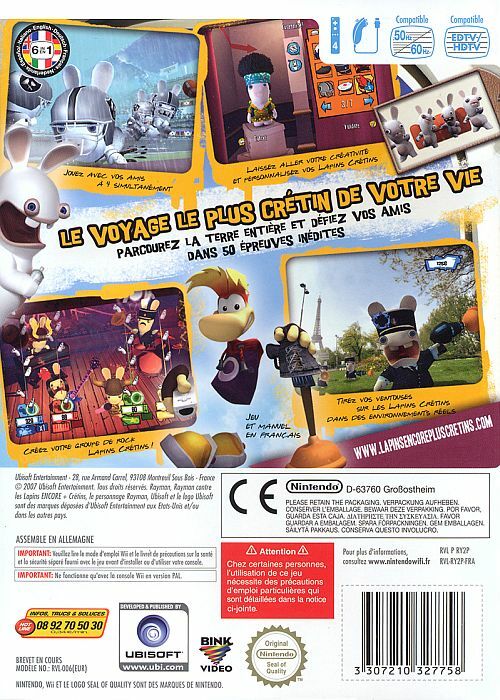 NEU - NOUVEAU - NEW :: 15.11.2007 - France - Grand concours Rayman contre les lapins . 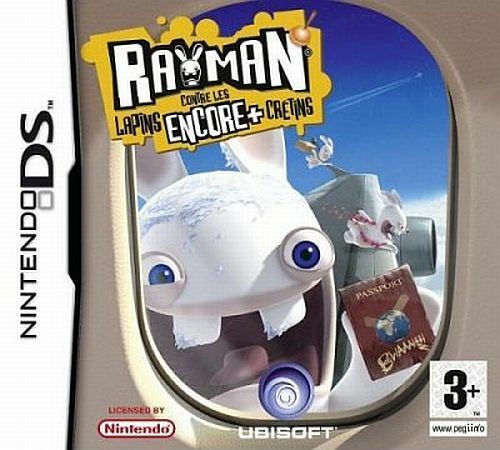 . .
participe au concours Rayman contre les lapins ENCORE+ Crétins. En calculant ton Potentiel Qrétinal, tu pourras remporter l'un des nombreux lots. Des jeux Wii et Nintendo DS et des dizaines de goodies sont mis en jeu ! den Beginn der großen Hasen-Invasion bekannt. crazier and funnier than the first – and with even more wacky games! Today, Ubisoft, one of the world's largest video game publishers, announced Rayman Raving Rabbids™ 2 has shipped exclusively for the Wii™ and Nintendo™ DS systems. Those mischievous bunnies are back in a hilarious sequel, a party comedy game that is guaranteed to be even crazier and funnier than the first one, with even more insane games to play. 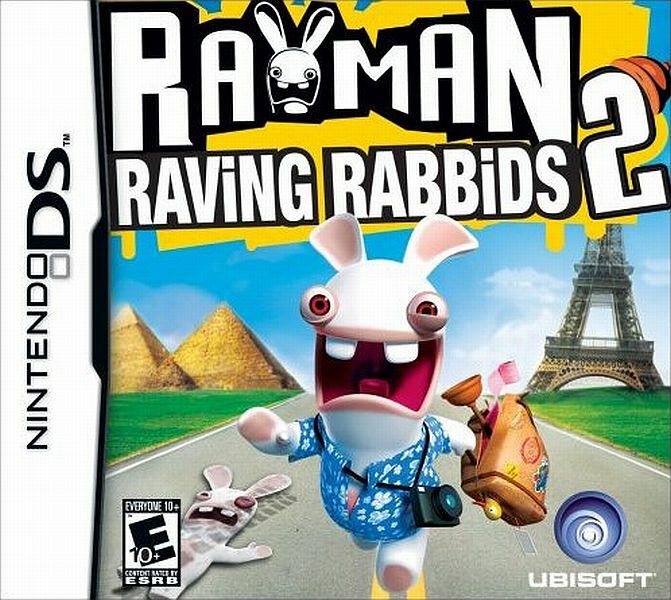 Developed by Ubisoft's Paris studio, Rayman Raving Rabbids 2 will push the envelope of the Wii gameplay experience by continuing to make innovative use of the Wii Remote™. The game is rated "E10" for Everyone 10 and over, and has an MSRP of $39.99 for the Wii and $29.99 for the Nintendo DS. 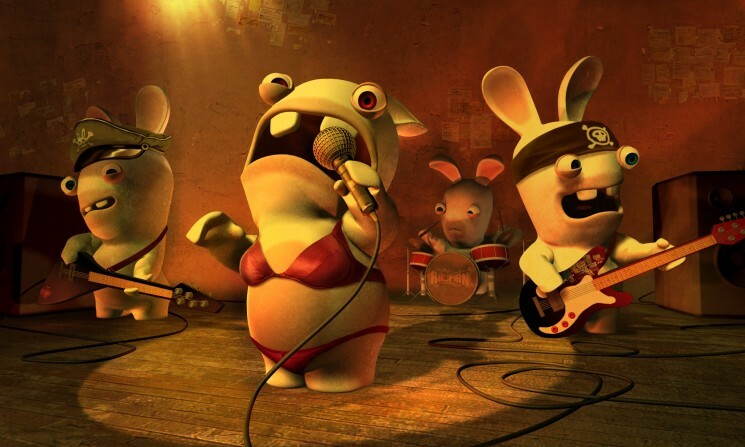 Los Rabbids están de vuelta y esta vez vienen más locos que nunca. en Nintendo DS y Wii a partir del 15 de Noviembre. 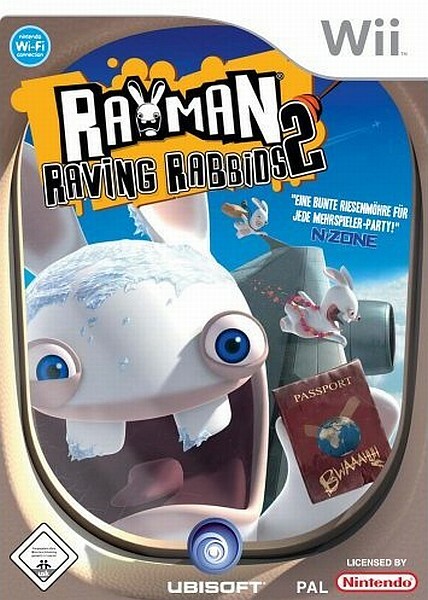 Rayman Raving Rabbids 2 - Dopo aver invaso il mondo di Rayman, i Conigli hanno un nuovo obiettivo: L’INVASIONE DELLA TERRA! I Conigli hanno quindi installato la loro base in un centro commerciale, dal quale cercheranno di studiare il comportamento umano, mimandolo in modo divertente e privo di logica. Il loro addestramento consiste nell’affrontare diverse missioni in tutto il pianeta per prepararsi alla sua dominazione. Rayman cercherà di infiltrarsi tra i Conigli, mascherandosi come uno di loro in una pericolosa missione per svelare i folli piani dei roditori e salvare la Terra dal loro dominio. Einblicke in das umfangreiche Portfolio der Spiele für mich.
Rayman Contre les Lapins Encore + Crétins +Cadeau ! Précommandez votre jeu et recevez en cadeau une boite à Bwaaaah! website. 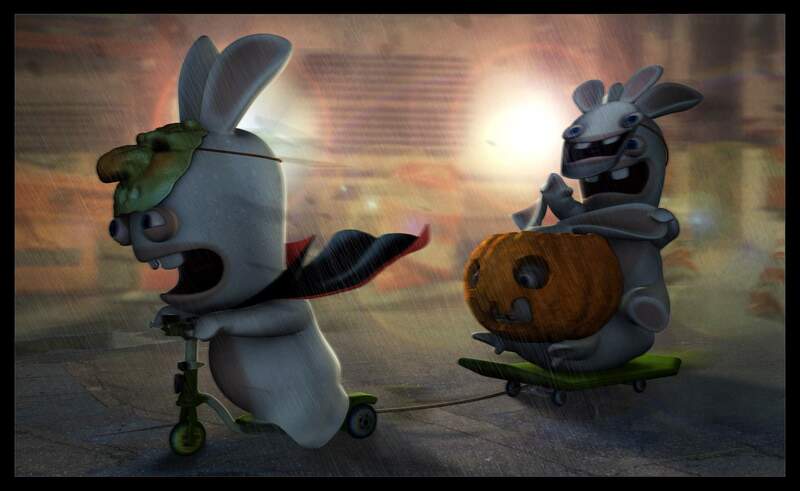 The website will be THE place to catch up with the Rabbids and enter their wacky universe. 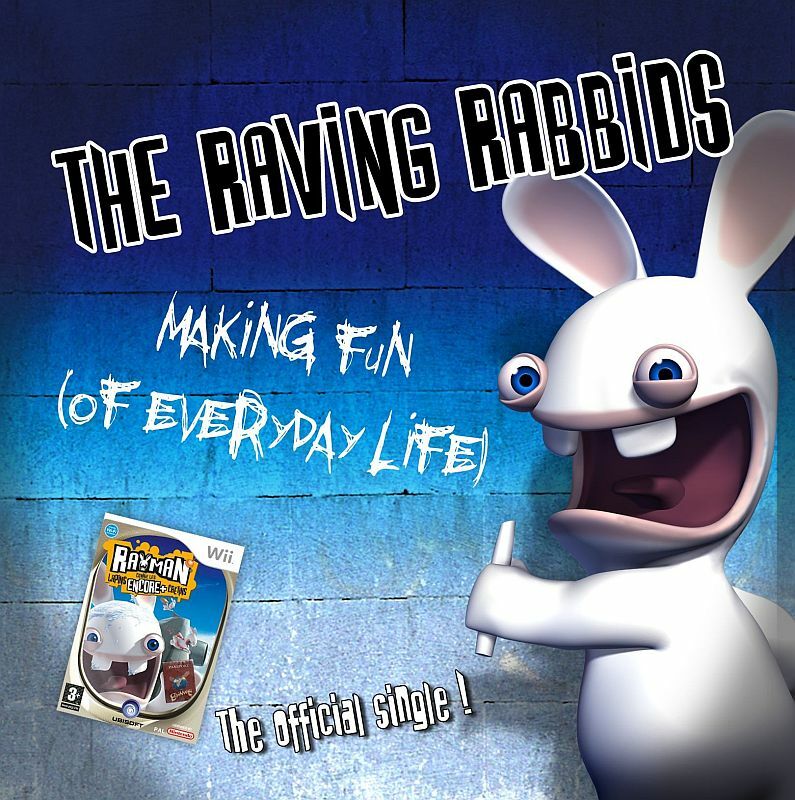 Rayman Raving Rabbids 2 - Un Nuovo Sito! ... si es así, y si quieres seguir viéndolos además de poder ganar fantasticos premios... no dudes en participar en nuestro concurso!